Snapchat started the craze, and Instagram and Facebook followed shortly behind. Ephemeral content is currently one of the biggest terms talked about in the marketing world. Ephemeral content refers to content that is short and sweet – and only lasts 24 hours before disappearing. In a space where we are constantly trying to create content made to last, why is ephemeral content so important? More and more businesses are trying to connect with audiences across all platforms, which means the attention span of people is on a decline. According to Statista, Snapchat had about 188 million daily active users in 2018, while Instagram Stories had around 400 million daily active users! Ephemeral content creates a FOMO (fear of missing out) complex among people. Since the content is only up for one day, people are more inclined to act quickly and follow your page to make sure they’re seeing your content regularly. They don’t want to miss out on anything you’re posting, and if they like what they see – there’s a higher chance that they will purchase your services. Ephemeral content also makes your brand stand out. While all the businesses around you are posting polished photos, you’ll be able to show customers that there are people behind the brand. If consumers are only seeing posts promoting your products, they’re going to tune out fast. Upon seeing the human side of your brand, they’ll be more likely to tune in for what you have to say. Your content should be fun, creative, and fresh. Make sure it fits your overall brand, or it won’t be as authentic as you (and your consumers) would like. You should also make sure to pick the right time to post your content. Whether it’s right before you introduce a product to the market or before a flash sale, it has to get people interested and ready to follow along. You can host giveaways, show behind-the-scenes, and share live events; it’s all about where your creative mind takes you. 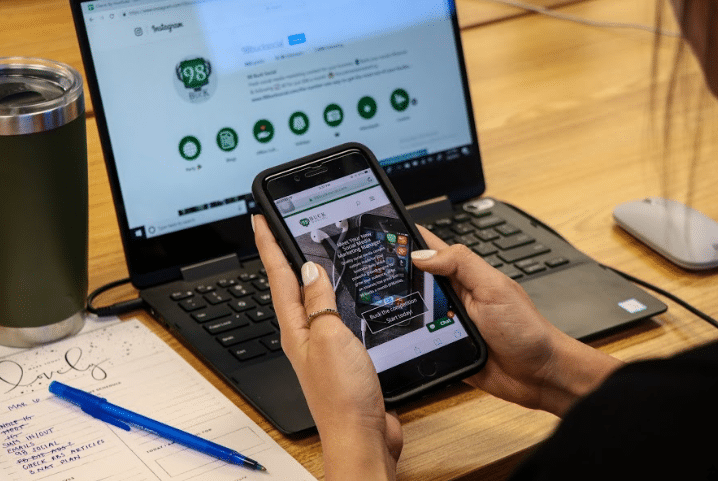 Learn more about 98 Buck Social!